Mr Raymond Chan is a Partner of Chan Neo LLP a firm of Advocates and Solicitors. 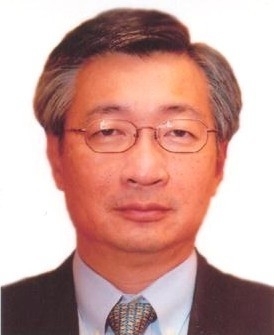 He is the Immediate Past President of the Singapore Institute of Arbitrators and is a member of the Panel of Arbitrators of the Singapore International Arbitration Centre, the Arbitration Panel of the National Electricity Market of Singapore and an Accredited Adjudicator with the Singapore Mediation Centre. He is also a Member of the Inquiry Panel of the Law Society of Singapore. He has been appointed as Chairman of the REDAS Conciliation Panel Committee since 1998. He is Honorary Legal Advisor to the Singapore Real Estate Developers Association (“REDAS”), the Singapore Institute of Architects ("SIA”) and the Singapore Institute of Surveyors and Valuers (“SISV”). He acts regularly for property developers, contractors and design consultants and has represented them as Counsel in the High Court as well as in domestic and international arbitrations. He was Counsel for an International Engineering Design & Consultancy Firm during the Inquiry to the Nicoll Highway Collapse. He is active as an arbitrator and has been appointed by the International Court of Arbitration of the ICC and by the Singapore International Arbitration Centre as Arbitrator in several international and domestic arbitrations. For the past 15 years, he was involved in the drafting of the Standard Forms of Building Contracts for private sector building works in Singapore including the 5th to 9th Editions of the Singapore Institute of Architects Main Contract, the 2nd to 4th Editions of the SIA Conditions of Sub Contract, the Guidance Notes on the SIA Conditions of Contract and the 1st to 3rd Editions of the REDAS Design & Build Conditions of Contract as well as the SIA Arbitration Rules and Mediation Rules. He is the current Co Course Director of the Fellowship Assessment Course conducted by the Singapore Institute of Arbitrators and a lecturer in Construction Law for the Certificate in Construction Law and Contracts Course conducted by the BCA Academy Singapore since 2009. Raymond is listed in the 2011 Edition of the International Who’s Who of Construction Lawyers as a Leading Construction Lawyer in Singapore and by Euromoney Legal Media Group in 2010 as one of the world’s leading experts in commercial arbitration. He is a frequent speaker in construction and arbitration subject in both local and International Conferences and is the author of many articles on these subjects.